Registration is now open for the 45th annual running of the FIRECRACKER FIVE race on Wednesday, July 4th. The race will start promptly at 7:45 am, rain or shine. 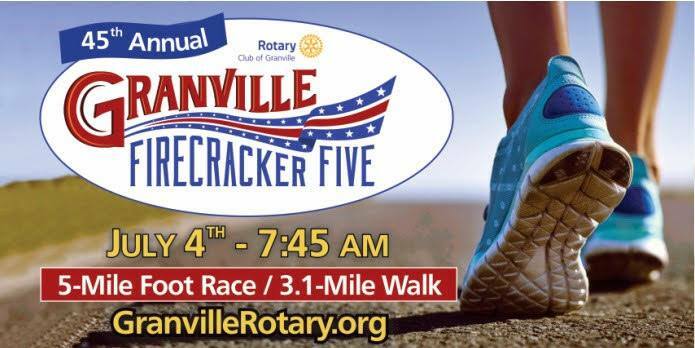 Registration entry fee is $35 for the 5-mile race and for the 3.1 mile walk includes a 2018 Firecracker Five shirt.